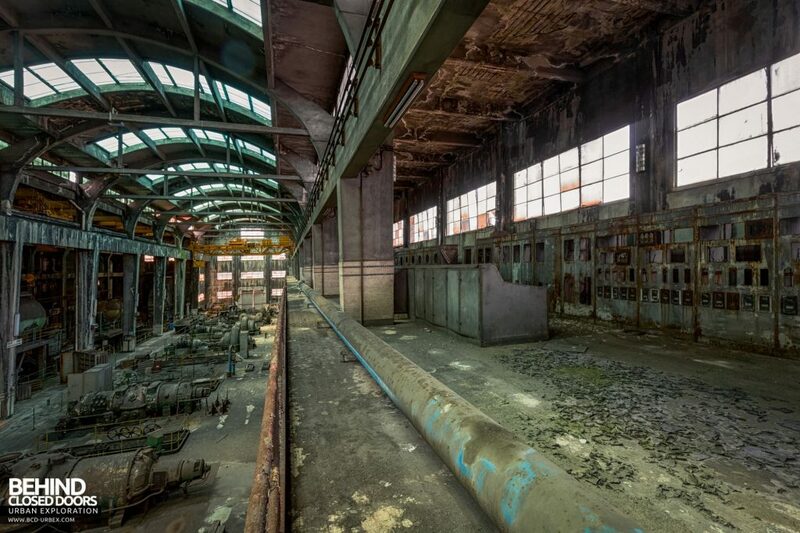 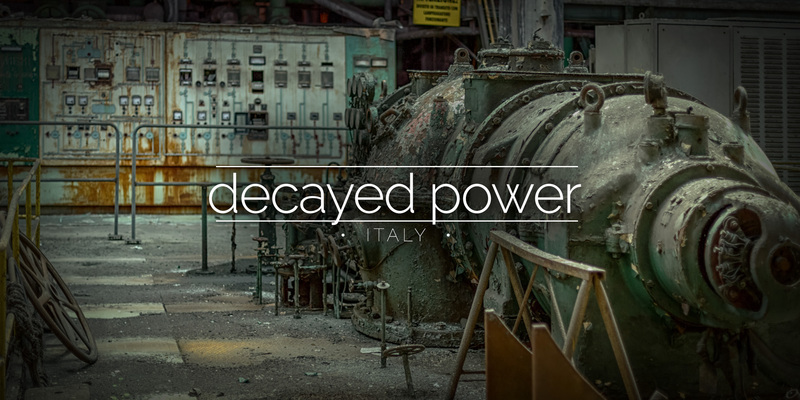 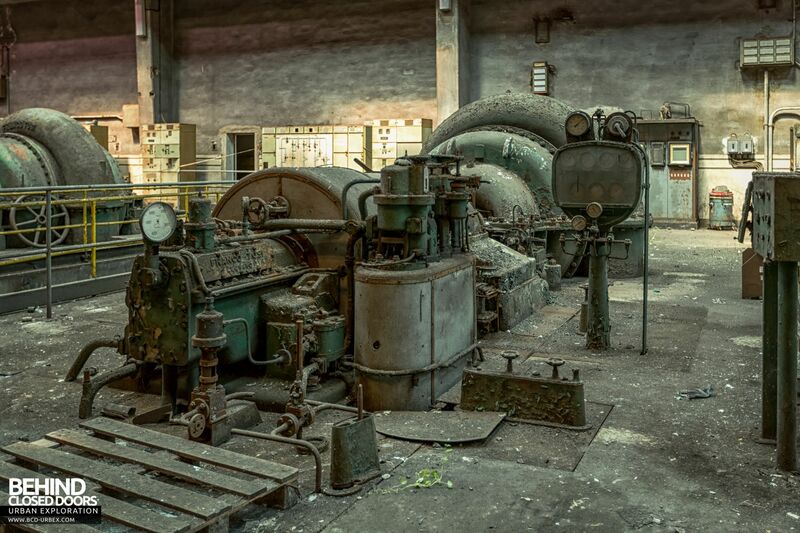 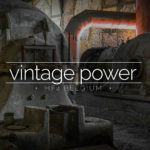 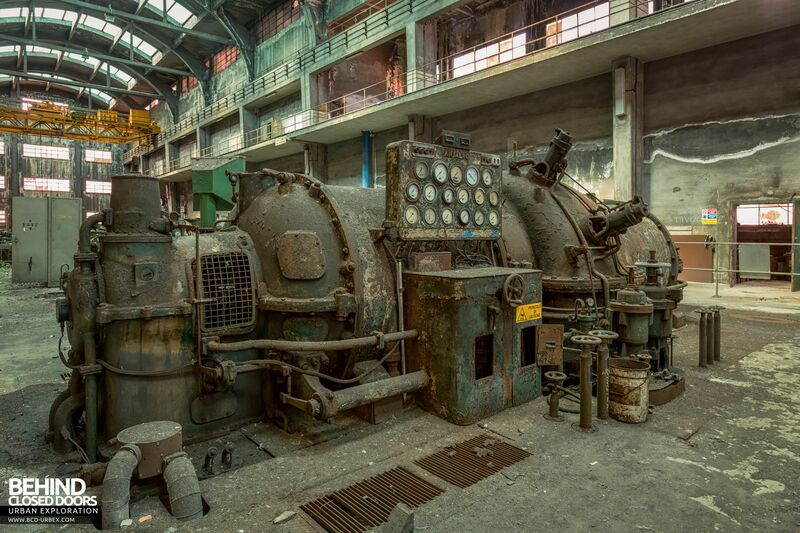 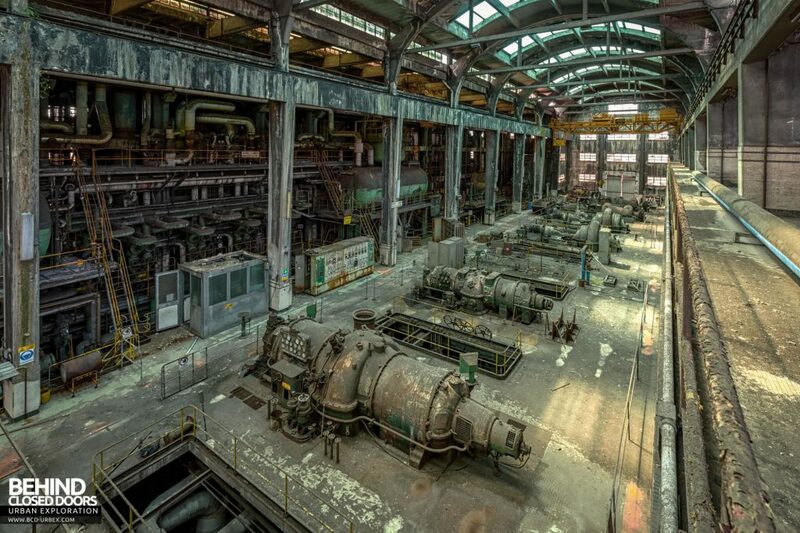 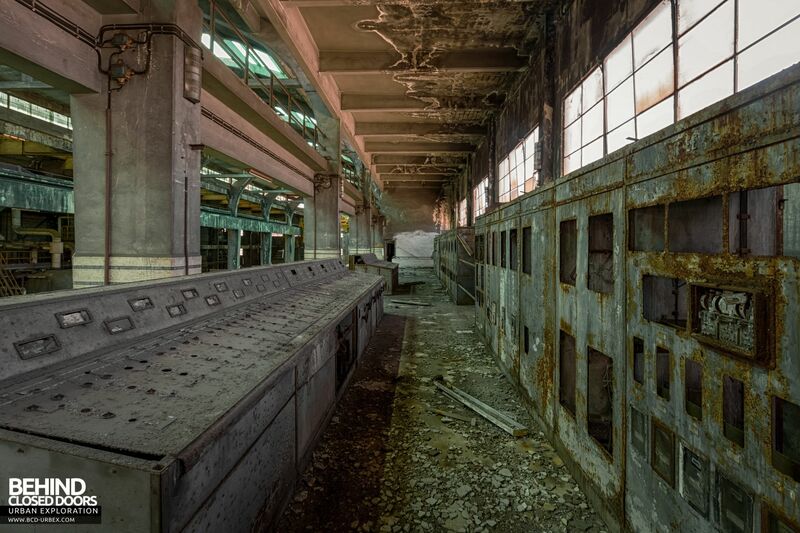 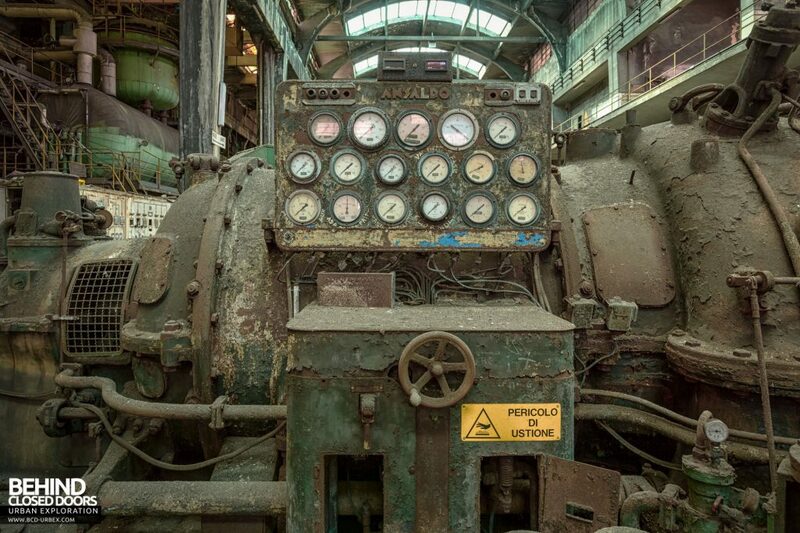 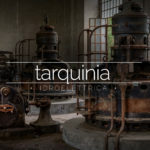 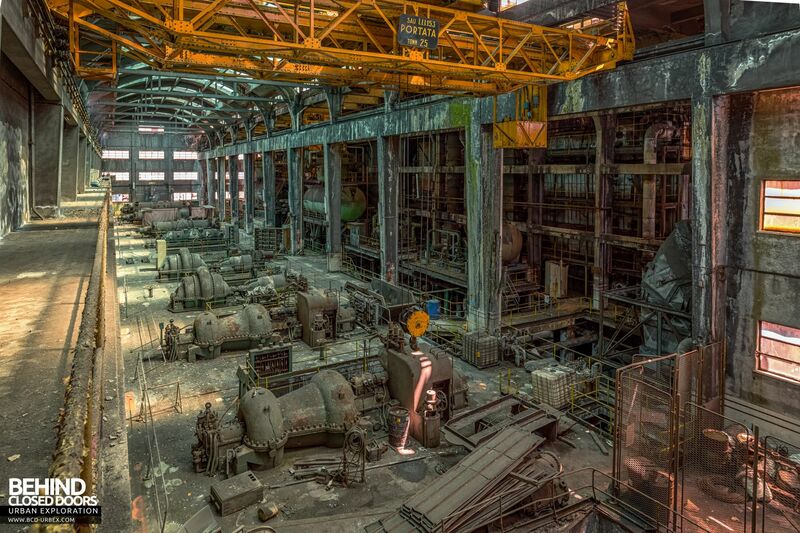 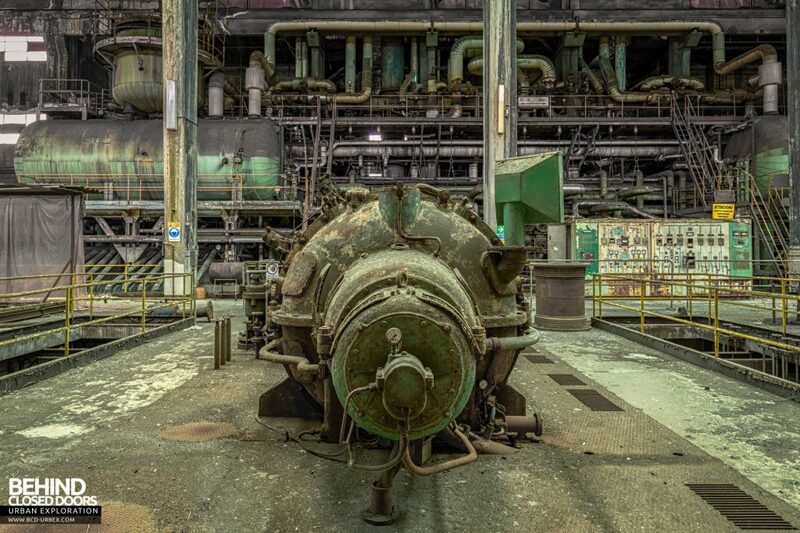 An old decaying power plant in Italy with an array of different turbines. 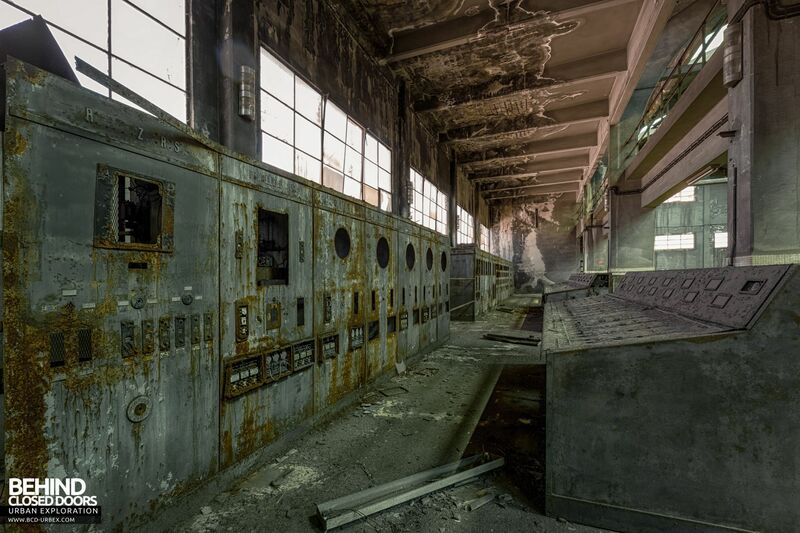 An old, long-disused control room remains to one side. 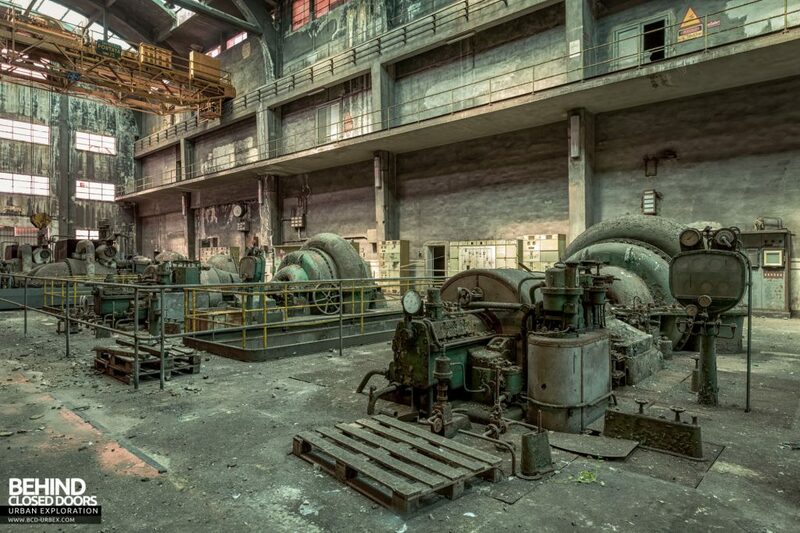 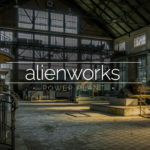 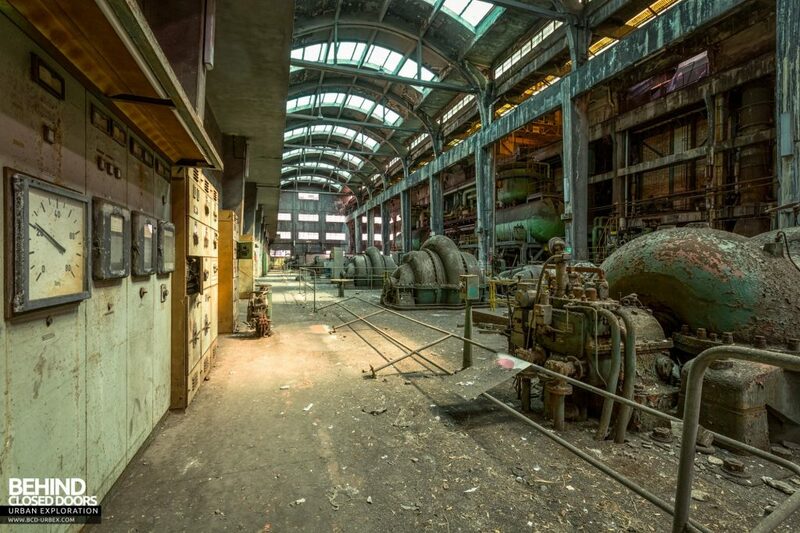 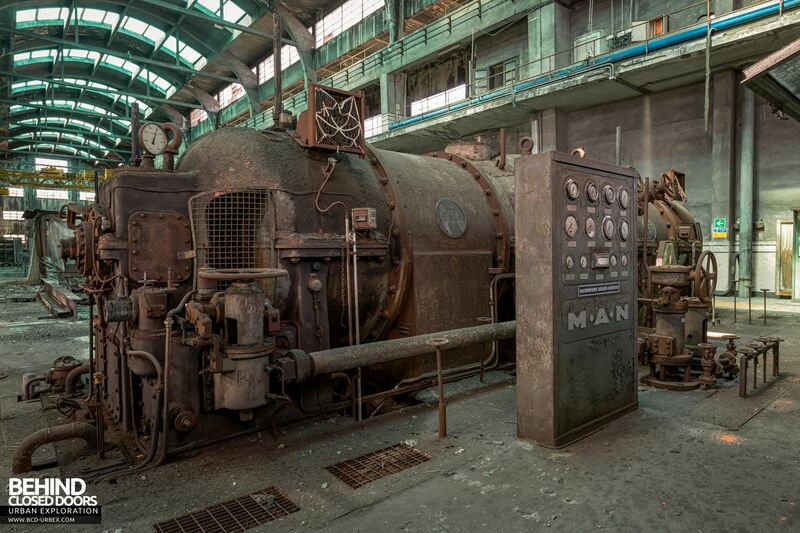 This old power station has been closed for some time and the decay has really set in. 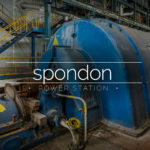 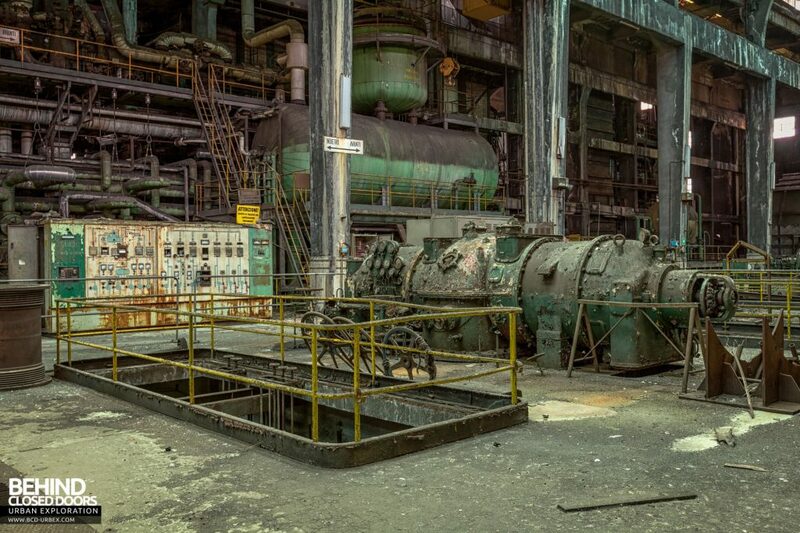 The plant once supplied power to a steel works, however was replaced with a newer station on a neighbouring site. 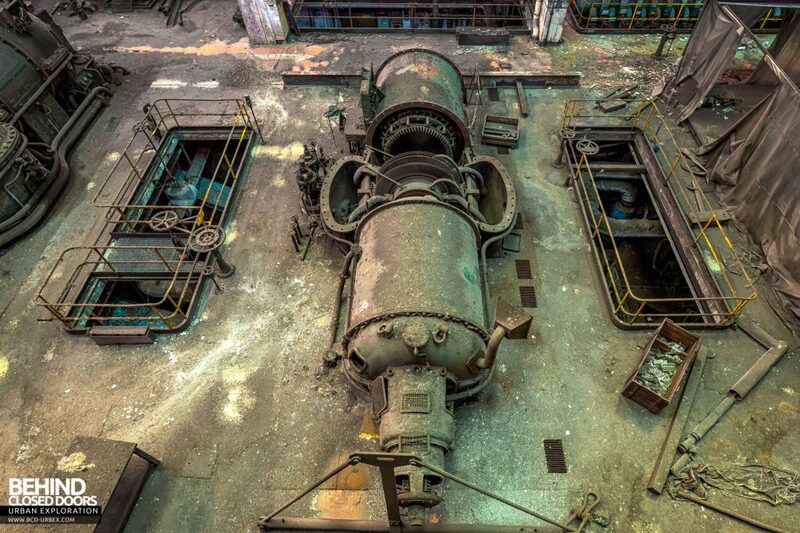 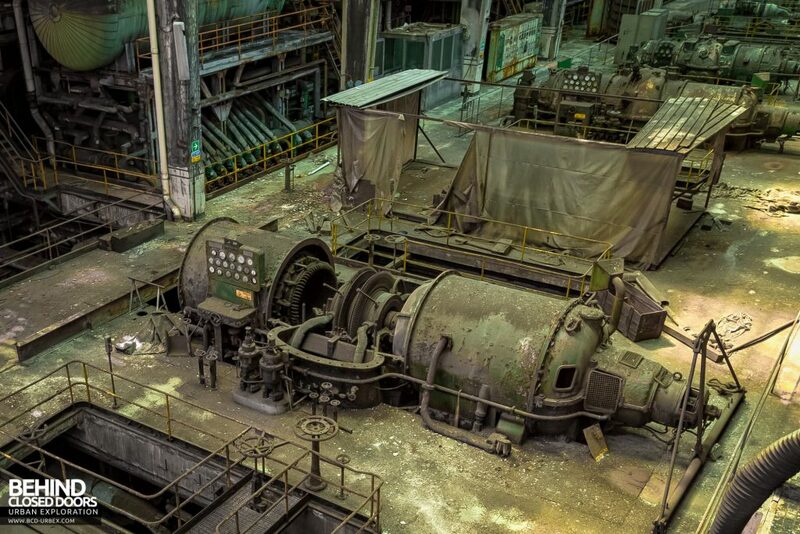 With eight turbines, it is certainly on the larger side of plants as old as this. 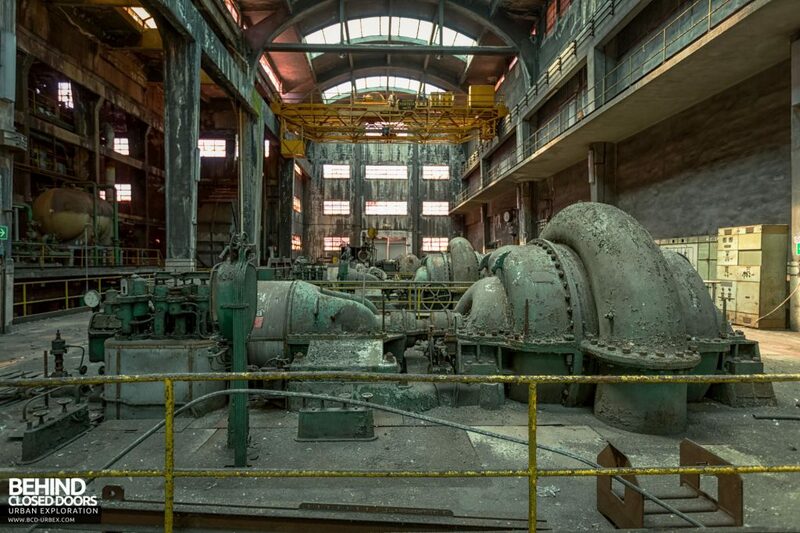 The old control room was situated to one side of the turbine hall at an elevated level giving a great view over the turbines. 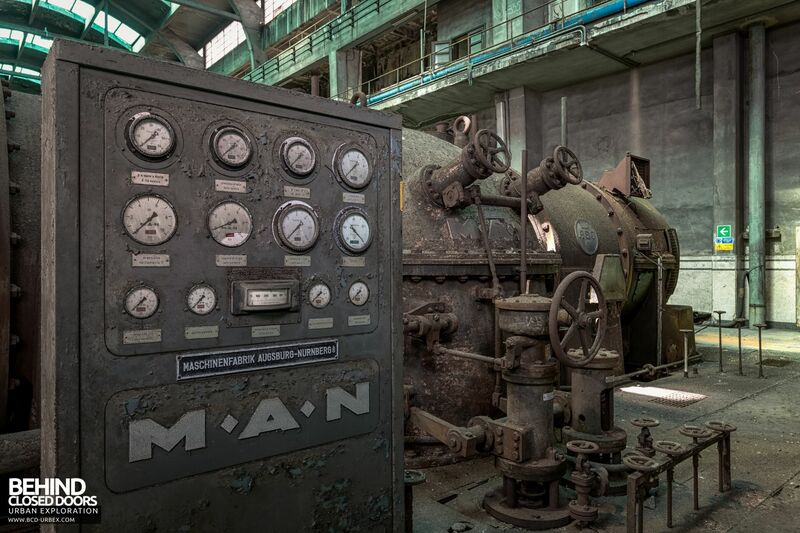 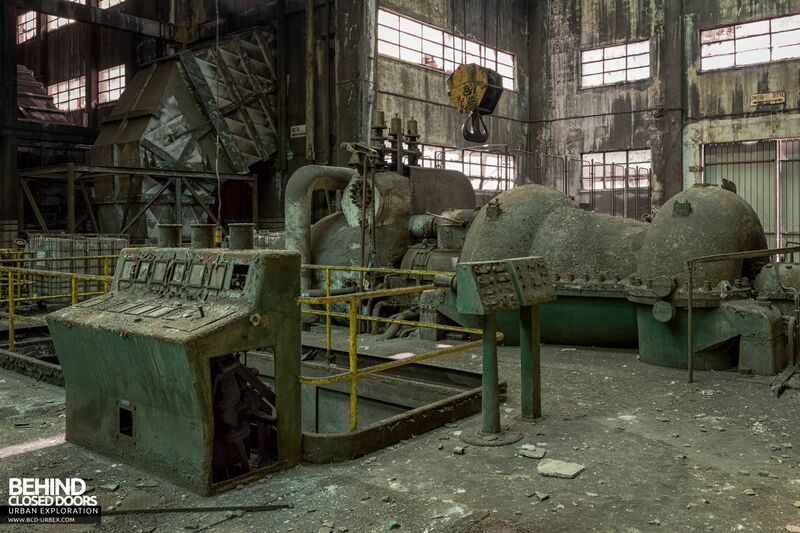 It would appear the controls had been out of use longer than the rest of the plant, presumably replaced by a centralised control room somewhere else on the site.